Wanderlust magazine has them. Condé Nast Traveller has them. Hey, why can’t I have my own 2015 travel awards, eh?! OK, this really is just another excuse for me to look back at the last 12 months. So, without further ado, let’s get on to the winners! My two weeks in America reminded me just why I keep finding myself lured in by cheap fares to the US. America really is amazing! Especially when every city offers something so different. It almost feels like you’ve escaped to another country when, in reality, you’ve just hopped over one state. There are so many big bucket-list sights, and the majority of people are super friendly. Everyone thought I would hate it. Even I thought I would hate it. Thousands of people, big garish hotels and a real focus on wealth? Ick, what could be worse in a destination? But, I absolutely loved it. I want to move there forever and play Blackjack until I become an absolute pro. Runner-up has to go to Innsbruck. I knew Austria was pretty, but I hadn’t realised just how much of that beauty could be found in the Tyrol’s capital! A REAL close one, this. I’ve stayed in the gorgeous 5* Venetian hotel in Vegas, an incredible house in Dumfries and Galloway overlooking the rolling hills, and a stunning lodge in the heart of Seefeld, Austria. But when a hotel has more pools than you can count, a beach on its doorstep, and dozens of cats that have taken up residence on the sun loungers, you can’t really pick anywhere else, can you? One thing that 2015 has taught me: I am a sucker for hotel pools. While they are traditionally associated with warmer climes, the outside pool at Hotel Seespitz won my heart. It was like receiving a huge watery hug, while gazing out onto snowy mountain tops. A surreal experience. I won’t say too much about this tour because it honestly deserves a whole blog post of its own. But there’s no better way to see the multicoloured rocks of this National Park than on a small-group tour with Pink Jeep. Our tour guide was out of this world, and brought everything to life. Oh, and we even saw a whole bunch of animals! A little confession to make: with all that’s been going on in 2015, I haven’t been as involved in scouting out new blogs as I would have liked. (Please – link me to your blog in the comments below so that I can discover some new ones!) But with these travel awards comes the chance for me to recognise a handful of the brilliant bloggers out there who have kept me entertained in my spare time with their incredible travel stories. I can’t pick just one, I’m afraid, so this award has to go to two: The Little Backpacker and SilverSpoon London! Jodie (aka The Little Backpacker) wins my admiration for juggling a full-time university degree with part-time work, travels and keeping up a top-notch blog. Genuinely not sure how she does it. And Angie, from SilverSpoon London, amazes me with her near-enough every day blog posts, all beautifully written with gorgeous pictures. She’s deserved every bit of success in 2015! Shikha is honestly one of the most loveliest people I’ve met during my foray into the world of blogging. And whenever I have a spare moment to myself, I love nothing more than losing myself in one (or 14) of her amazing blog posts. Her writing seems so effortless, and yet always conveys her real passion for travel. On many, many occasions her writing has convinced me to add so many places to my bucket list. From the adorable blog name to the colourful pictures and love of beaches, Emma’s blog does wonders for my mood when I’m stressed/tired/in need of some sun. Just looking at her blog makes me want to jet off to somewhere warm, sunny and exotic ASAP! Couldn’t do travel awards without mentioning the bezzie. But seriously, if it’s Asia info you need, Sophie’s blog is the place to go. Definitely one of my blogging favourites. Any blog that introduces a ‘Global Afternoon Tea Challenge’ is alright in my books! And Emma and Keri’s passion for squeezing every ounce of travel out of their weekends and annual leave has got to be admired. One minute she’s in Japan, the next she’s in Florida via Estonia, Spain and the moon. 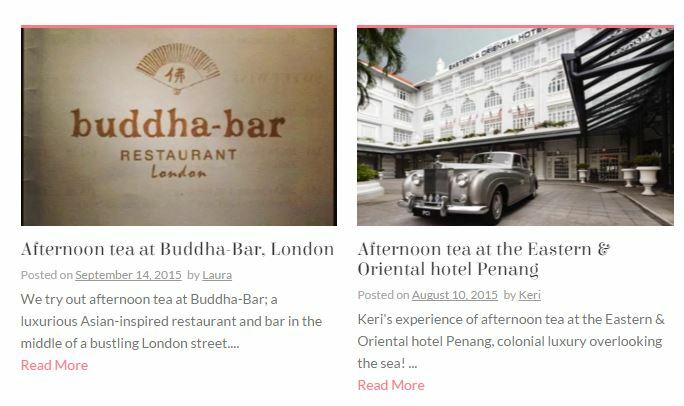 In between my doses of annual leave, I like to live vicariously through Vicky’s blog. Which is easy to do when she’s going [Vicky] flipping [flopping] everywhere! Her writing style is so casual too, it’s like chatting to your best mate. It’s fairly easy for me to get stuck in a vortex of reading 5,000 old blog posts before I’ve even had my first cup of tea in the morning. And a special shout out to Taylor Hearts Travel, another blog I find myself automatically going to on a daily basis, re-reading some of Char’s fab travel stories! 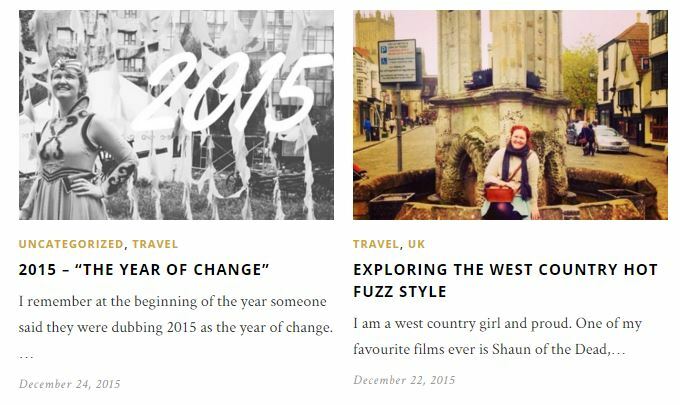 As for other blogs that have kept me engrossed throughout 2015? Step up Sophie’s Suitcase, Little Travel Bee, The Travelista, Travel Addict UK, Rexy Edventures, Mrs Ayla’s Adventures, The Travel Hack, That Adventurer, Pack Your Passport, Let Me Tell You About A Hotel, The Very Hungry Londoner, Lines of Escape, Emma’s Travel Tales, A Lady in London, The Grown Up Gap Year and Vagabond Baker. Thanks everyone for a great 2015! Who would your travel awards go to? Thanks so much lovely, I often wonder how I do it too…. I’ll let you know when I work that out! So many good blogs mentioned here and that pool! Wow, totally deserves pool of the year.